The Telecom Minister Kapil Sibal takes a dig at the "Fissile Left" in his new anthology of poems where he urges the Left Parties, which had withdrawn support to UPA I, to "see beyond their nose" and "rework their ideology" referring to the Prime Minister as "Doc Manmohan". My World Within — a compilation of 67 verses composed on cellphone during time snatched in between his travels and other obligations as a Minister, Sibal writes about "metre and rhythm central to life." 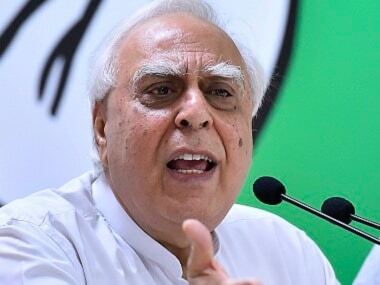 "The book is about the present... when the world is going through transitional changes... the global economy is depressing, there are terrorist attacks, politics is in turbulence... it is looking at the journey of India in a transitional world," Sibal told PTI. The lawyer-turned-politician says he has no obvious muses but somehow events around him bring out the poet in him. Even as poems "the Bazaar of Politics" and the Fissile Left" lampoon politics, the minister has also poured his opinions on contemporary politics, global economy, the troubled mind of a terrorist and the anxieties of the marginalised and the downtrodden. The 2008 terror attack in Mumbai evoked his anger so much that Sibal says he could not prevent himself from spontaneously penning his emotions down in a verse on a Terrorist. 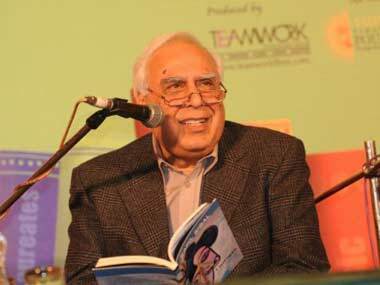 When asked whether a terrorist deserves a poem, Sibal says, "Of course!" In the poem he explores the feelings of the terrorist who along with innocent people is caught in the police crossfire at the Taj Hotel. "I have written about what goes on in the mind, I am caught and I feel trapped." The Minister waxes eloquent on a spectrum of subjects ranging from nature and love, revealing a softer side to the usually no nonsense public persona. In Prejudice, the poet politician talks about a member of a minority community living in an uncertain world. 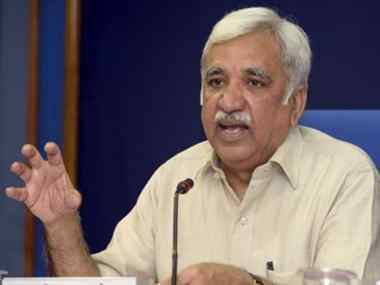 "It could be perhaps be in Gujarat," said Sibal. The present anthology is being brought out by Roli Books which had also published his first book on poems I Witness: Partial Observations in 2008. In another poem Sibal, says he is agnostic and is angry with God because he believes he has created an unjust world expresses his angst by imagining what do I want God to be? "God is my contemporary," writes Sibal. He seems to further his tirade against the Almighty in another poem he has titled "Empowerment" which talks about Dalits and their journey towards empowerment. Subjects like nature and love are also explored. He says he finds beauty in everything ugly. "Love is all pervasive and the only bond..."
"I cannot write blank verse. 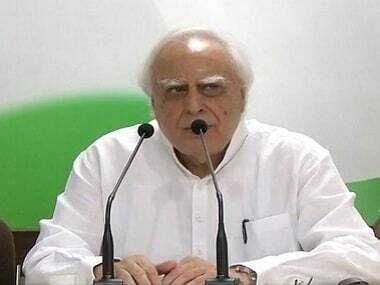 If I had to write blank verse then why would I not write prose instead," says Sibal hinting at a forthcoming prose book. The book with an alluring jacket sporting a work by cubist painter Pablo Picasso is priced at Rs 295.